We set off about 8.30am with the plan to stop in Bunbury for breakfast and a walk around on route. 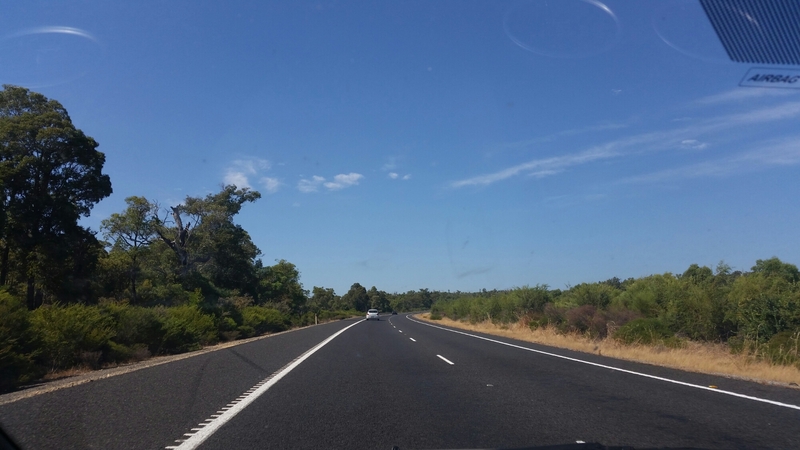 There wasn’t very much to look at driving down to Bunbury so the picture taking was very calm for this part of the trip. Bunbury is a beautiful small town buzzing with character. There were many people cycling around the town and the coast looked beautiful too. 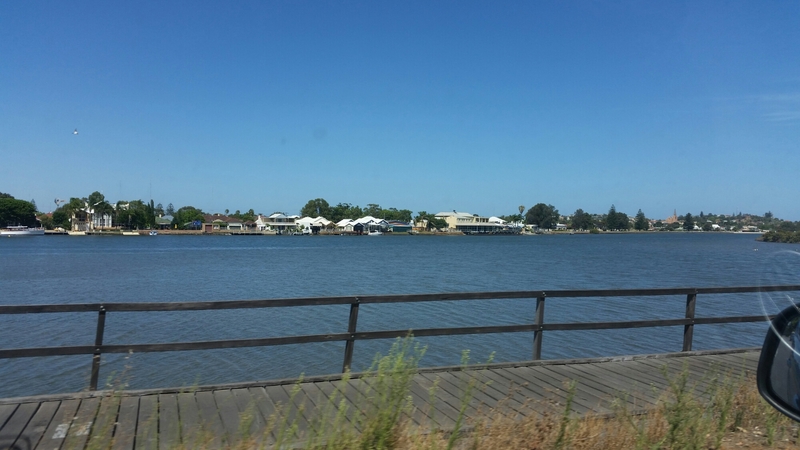 Something I requested to go back to do was to go out on in paddle boats… ‘we didn’t have time to go this particular time’ and I didn’t get to do it in Yanchep National Park. Shortly after breakfast in Benesse Coffee + Kitchen, we set off to hit the main part of out trip to Busselton. As soon as I saw the option to take a scenic route, I got my camera ready. We weren’t far down the scenic route before I realised that we were literally driving through a forest! 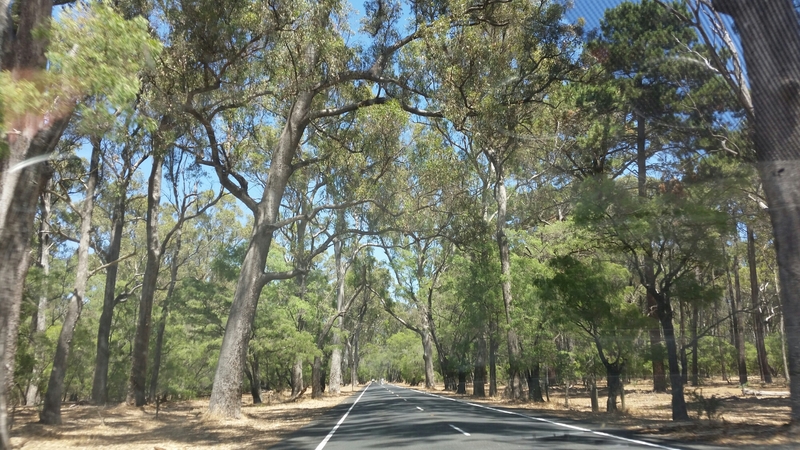 The trees were very close to the road and had grown to form a stunning canopy over the road and the forest floor. 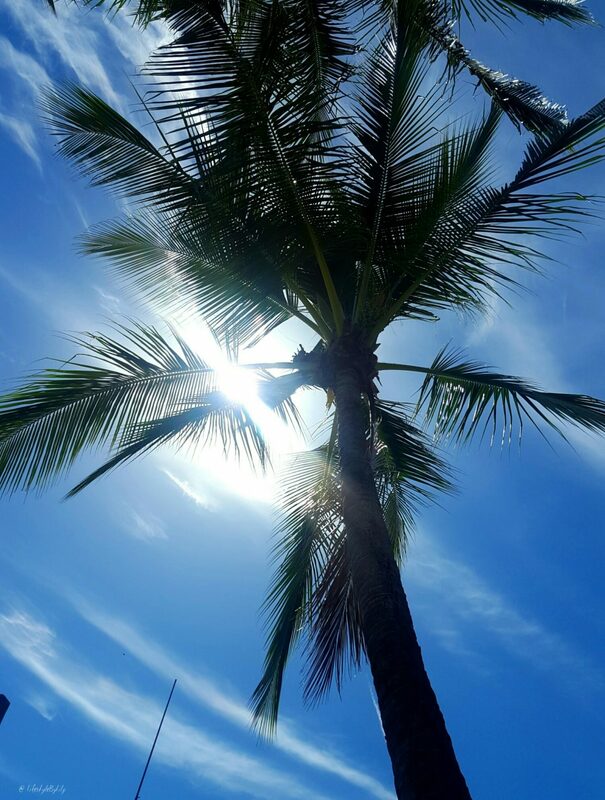 I snapped so many pictures but they just didn’t do it the justice it deserves… you have to see it for yourself! We felt like we were getting closer to the coast as the trees started to clear and we could see more of the brilliant blue sky. 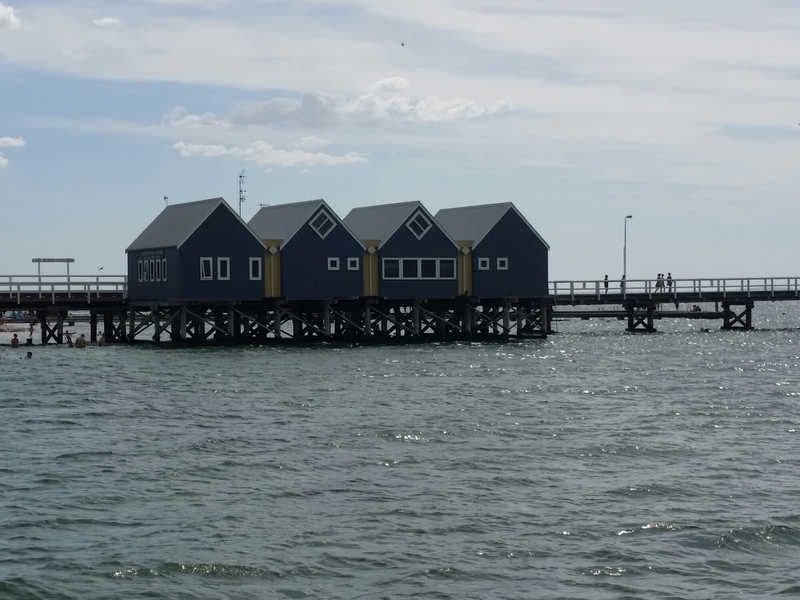 We were soon pulling into the carpark at the Busselton Jetty with bottles of water in hand. It’s $3 per person to walk out the jetty. There is an option to get a small train out to the end of the jetty but the walk is lovely and you can take as long as you want! The is an underwater observatory at the end of the jetty which tickets must be purchased for. We made our way through the souvenir shop and out to the jetty. 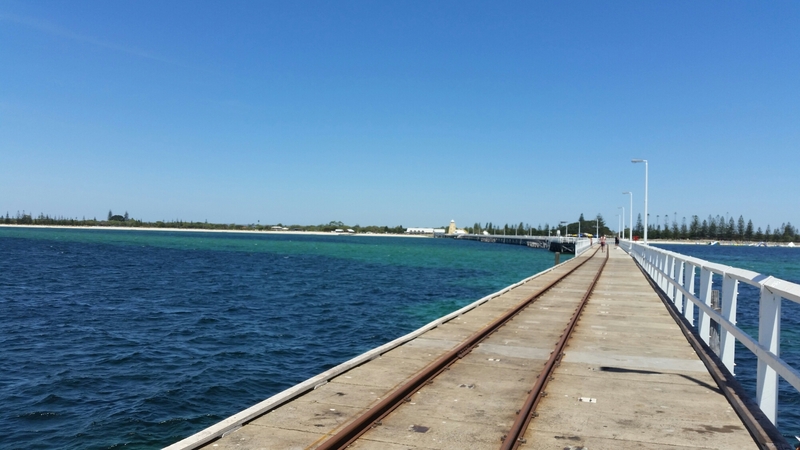 The jetty is nearly 2km long and is a beautiful walk. There were a lot of people walking out along the jetty as well as groups of teenagers jumping into the sea and hopeful fishermen dotted along the railings. We reached the end of the jetty and as I stood right here and spun around, I realised how far out we actually were and how small and how far away the beach was. We made our way back to the beach to get a drink and relax for awhile. The beach had an area cordened off for inflatables which were busy so I enjoyed an hour sipping on a slushie and relaxing with my book. 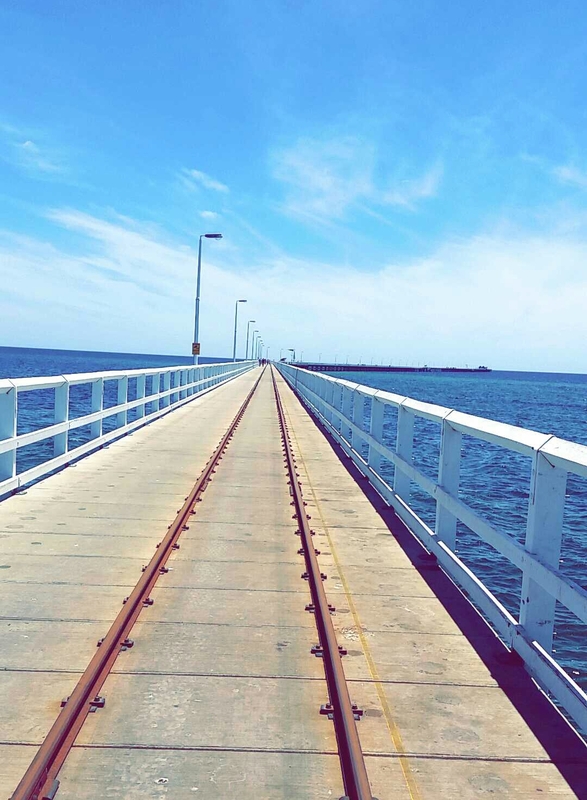 We left Busselton after a great day out and stopped off in Mandurah for dinner and a cocktail along the BoardWalk!